Is your monochrome moggy utterly brilliant? 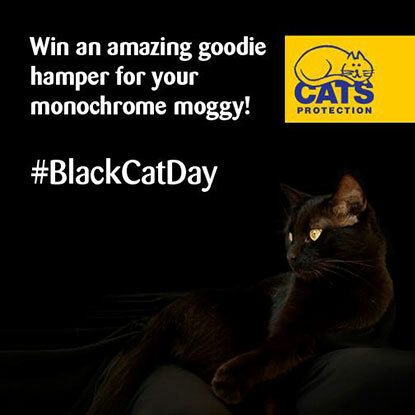 Cats Protection's National ‪Black Cat Day‬ 2015 is on 27 October and we’re once again on the prowl for this year’s Black Cat Champion in our brand new competition. To enter, visit our national Facebook page and post a photo and description of your rescue black or black-and-white feline in the comments below our pinned post. We’ll shortlist our favourites and then open the vote to the public - before announcing our new champion on National Black Cat Day itself. The winner will receive lots of cat-themed goodies for them and their cat - good luck!